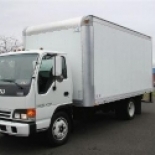 Search For "Transportation & Shipping" Companies in Newark, New Jersey - Click Here Now! Providing Exclusive Trucking Services In The Northeast Region Of The US (CT.NY.NJ.PA.DE.MD.VA) Our Main Feature Is "Same Day" Shipment Services, Unique Compared To Major Trucking Carriers, Therefore They Services Is Next Day Of Longer. Seven Days & One Rate Trucking, LLC in Newark is a company that specializes in Transportation Equipment And Supplies, Except Motor Vehicles. Our records show it was established in New Jersey.